Israel’s Tal Flicker is the current world No. 1 in judo’s U66 kg division, an established star who has won several world championship events this year. Except that, as Flicker knew would be the case, the organizers of this world tournament in the United Arab Emirates refused to play “Hatikvah.” Instead, Flicker and the rest of those in the hall and watching elsewhere heard the anthem of the International Judo Federation. Neither was the Israeli flag raised in pride of place. Rather, again, it was the IJF symbol that the organizers installed. (Likewise, there was no Israeli flag displayed for bronze medalists Gili Cohen, shortly before Flicker’s win on Thursday, and Tohar Butbul, on Friday. Speaking to Israeli TV from his hotel room afterwards, he said he’d made up his mind from the start that he’d sing “Hatikvah,” and dismissed the organizing nation’s insult. “The whole world knows that we’re from Israel, knows who we represent,” he said. “The fact that they hid our flag, it’s just a…” He paused, searching for the word. “It’s just a patch on our flag,” he said. A day later, Tohar Butbul handled an Arab rival’s contempt with similar equanimity. 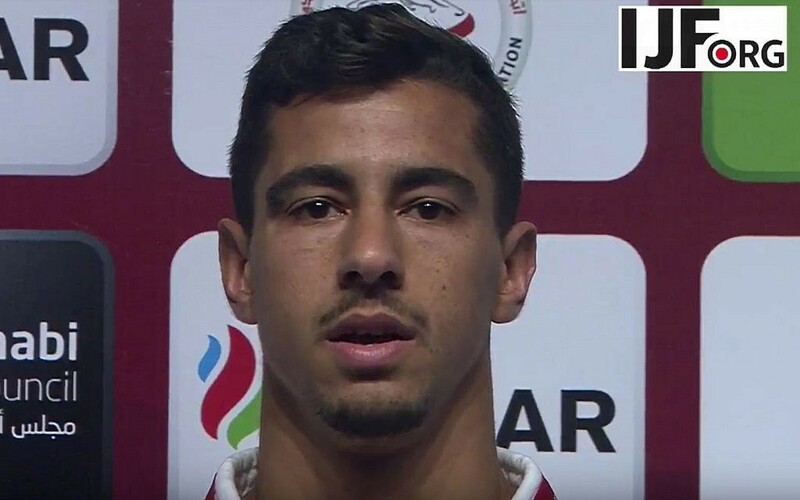 Evidently undeterred that his defeated UAE opponent Rashad Almashjari refused to shake his proffered hand, Butbul, 23, progressed on through the tournament to wind up with the bronze in his category by defeating Italy’s Olympic champion Fabio Basile. Some might argue that Israel should not have participated in a tournament whose UAE hosts messed the team around regarding visas and informed the sport’s international administration in advance that Israelis would only be tolerated if they exhibited no sign whatsoever of being Israeli. 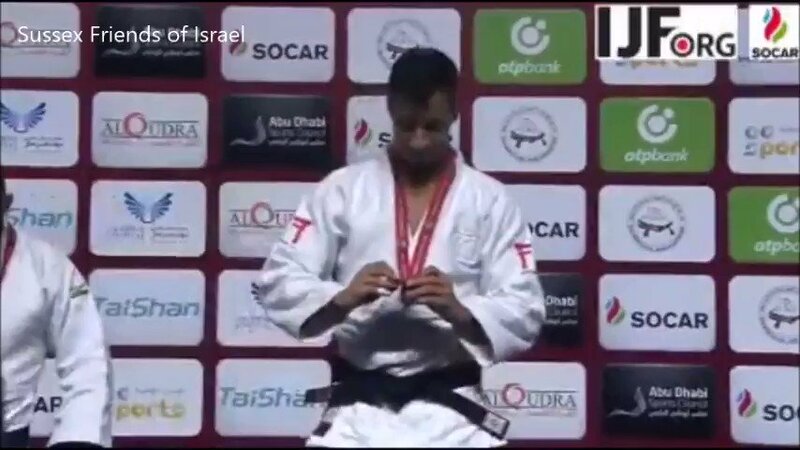 But the Israeli thinking was that its excellent judokas emphatically should participate, and that they would hopefully strike a contrast, through sporting excellence and good grace, to the rudeness of the UAE organizers. And so it has proved. The UAE Judo Federation paid it absolutely no heed. Why would it? It had imposed the same discrimination against Israel’s judokas two years ago; Israel won two bronze medals in the 2015 tournament — which meant far fewer headlines than the unignorable gold-medal success of Tal Flicker. A martial art with a 135-year history, judo is governed by etiquette designed to underline the importance of respect. The very word “judo” means “gentle way.” There should be no place in the sport for those who do not embrace its spirit. The UAE trampled all over those principles this week. It should not permitted to do so again. Let the Arabs behave their way. We will never be able to educate the Muslims manners of the21st century. It is pity, but this is a fact. They live in their Quran, some 20000 years ago. Let’s concentrate on our achievements in Sport. Education, Technology, Medicine and everything that we make in Israel. Let the Muslim dabble in their own dirty water. They will get drowned by themselves. We will work to show the world our products compare to the Arabs. Israeli very proud citizen who is most pleasant to be Israeli. Michael, thank you for reblogging their article for them.